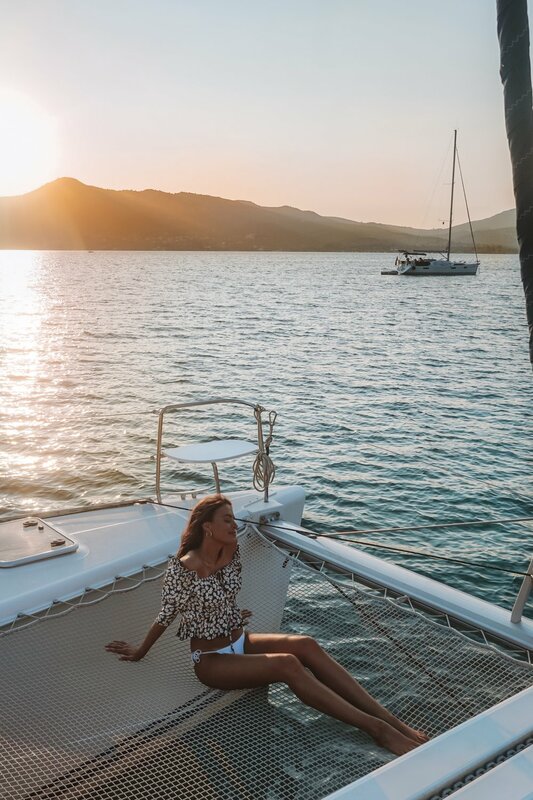 Sailing is heavily weather-dependant, so we wouldn’t advise locking in a strict itinerary as you’ll want to be prepared to set sail in whichever direction the wind takes you! In no particular order, here are our favourite island destinations. We only spent four days in Corfu, although thoroughly enjoyed the time that we were here! After an exhausting day of exploring the local shops, we often found ourselves indulging in beachside beverages at the Imabari Beach Bar Lounge. This quickly became one of our favourite locations to spend the afternoon. 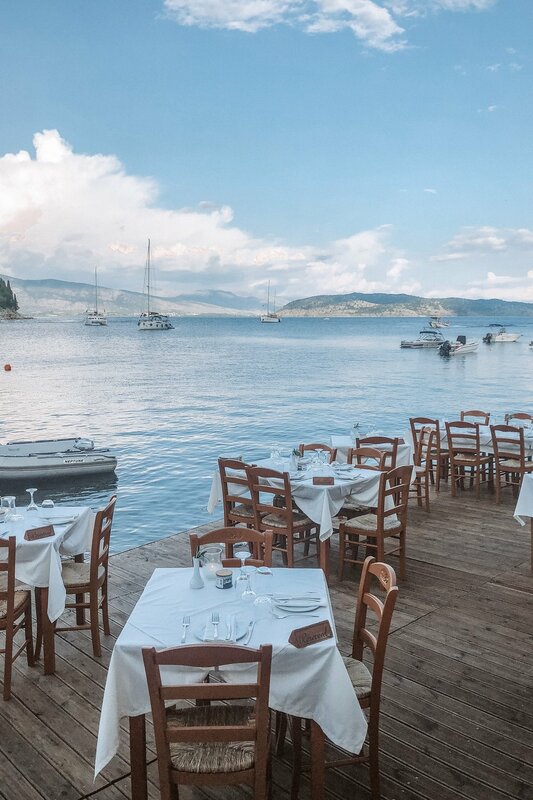 As lovers of the seaside, we also frequented Veranda Taverna and The White House. Both offered the best aperitifs and views on the island (in our humble opinion). We tested the waters and set sail for the first time on a day trip north of Corfu, to Ereikoussa! This island is part of the Diapontia Islands and while we didn’t set foot on land, we swam in the crystal clear waters surrounding the island. These few days resulted in sun-kissed skin and a healthy appetite for copious amounts of feta! 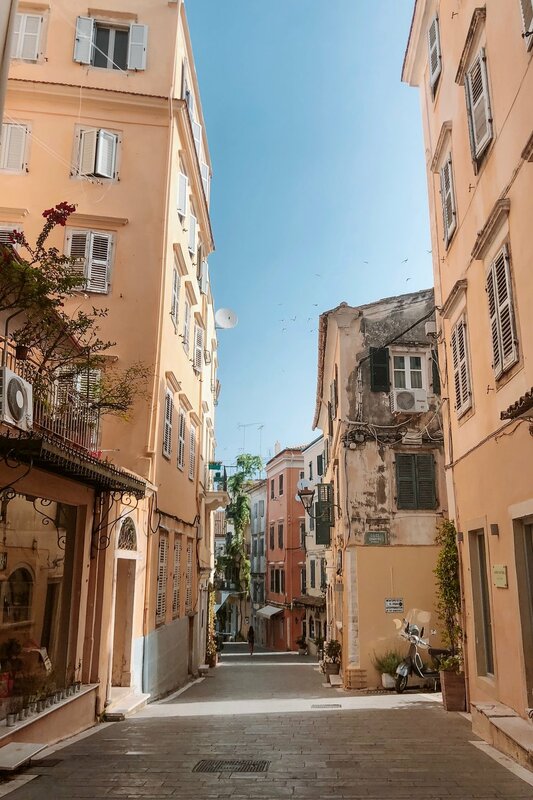 We can happily confirm that Corfu was the perfect place to prepare for setting sail. 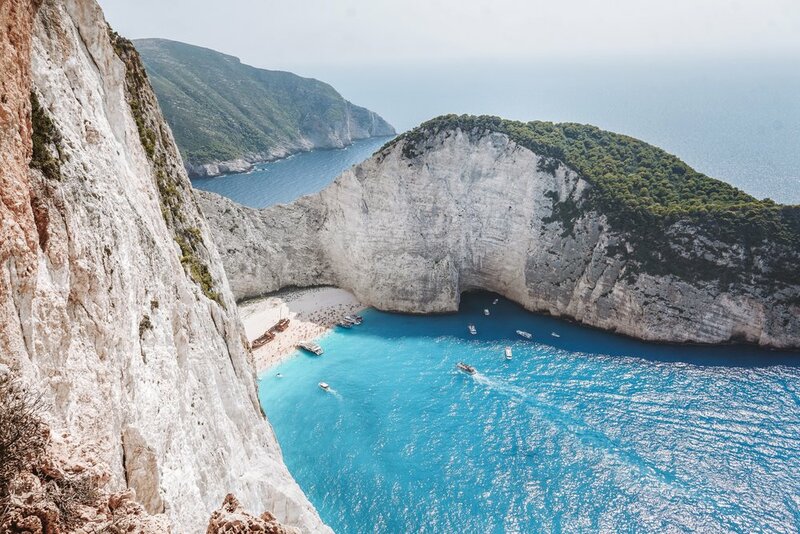 If you have ever seen images of the Ionian Islands, you’ll be familiar with Shipwreck Beach (also known as Navagio Beach) in Zakynthos. Like so many before us, we were eager to explore this iconic location! Due to high winds on this side of the island, we had to reschedule our trip to this beach a few times, although it was certainly worth the wait. We travelled to this location by land and sea. For our first visit, we were eager to see Shipwreck Beach from above, so we parked in town and hired a driver to take us to the top! From where we were dropped off, we had to walk an additional 30 minutes or so to get to these Kodak views from the unofficial lookout (meaning no fencing!). For those interested in visiting the beach by sea and aren’t too confident in commandeering a vessel, you can organise a boat tour to Shipwreck Beach from town. Lefkada was a personal favourite of ours! 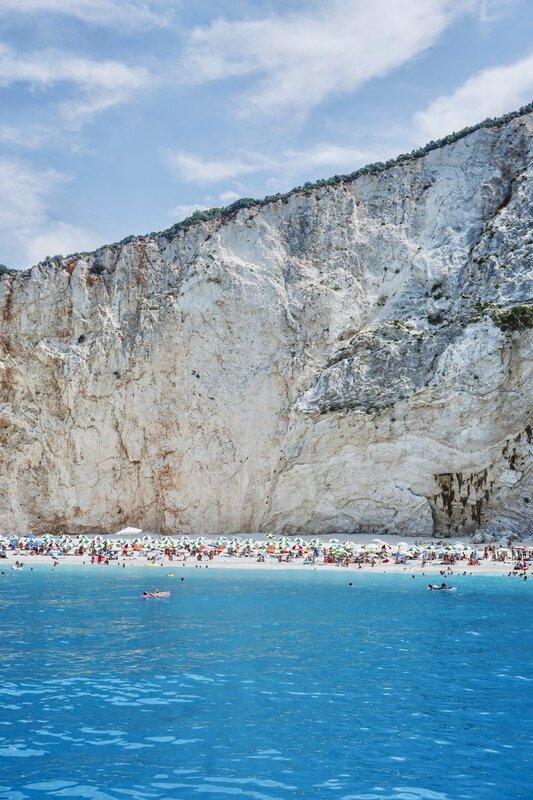 The western side of the island boasts whitewashed cliffs and unbelievably blue waters. We were fortunate to have some of these breathtaking coastlines all to ourselves, with the beach stretching for kilometres. The eastern side of Lefkada could be mistaken for a different island entirely. With lush landscapes and sheltered bays, this location felt more reminiscent of Tuscany than Greece! It was also more suited to overnight mooring than the western side of the island. Although, the sailor’s preference was to moor in the nearby Meganissi for calmer waters. We spent a few days sailing around Lefkada and quickly fell in love with Porto Katiski, Emgremni Beach and Kathisma Beach. 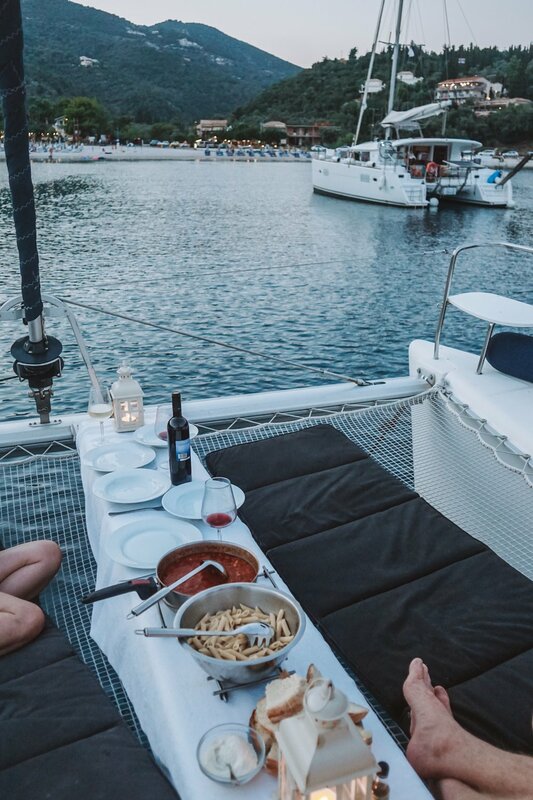 Special mention goes to Paleros Yacht Club, which boasts quite possibly the greatest dinner views we’ve ever experienced! If you’re planning to set sail from Lefkada, we’d recommend flying into Preveza. Preveza is a beachfront town located on the mainland, which is an excellent location to set sail from! It is also possible to drive from Preveza to Lefkada, which only takes about an hour. Larger than Lefkada, we spent over two weeks exploring Kefalonia. We would recommend acquainting yourself with Assos Village, a quiet and secluded bay which was built around the island’s peninsula. This picturesque town is surrounded by rugged hillside, pastel villas and and deep waters, perfect for sailors! Assos Village is the perfect location for families, couples, or anyone who is after some R&R. Unlike some of the more popular Grecian islands, there are limited villas available for rent and tourist numbers are relatively low. This has helped to maintain much of its natural beauty and character! If you’re feeling adventurous and willing to break a sweat, there are several locations to explore nearby the Village. We blindly followed a walking trail that led to the ruins of a Venetian Castle built centuries ago. We’d definitely suggest bringing a pair of comfortable walking shoes as this leisurely walk turned into quite the hike! In terms of local eats, we frequented Nicolas Tarvena, Apagio Taverna and Molos Traditional Taverna. We indulged in authentic dishes and had many engaging conversations with the restaurant owners! Another gem on Kefalonia is Myrtos beach. If travelling by land, you’ll be treated to a spectacular view driving down the winding cliffside to the beach. If travelling by boat, equally spectacular views await, however, ensure you avoid windy days or you’re in for an unpleasant trip back to port. We spent hours at Myrtos Beach paddle boarding and soaking up the sunshine. This location was undoubtedly one of the highlights of our trip! Needless to say, we adored all of these islands and enjoyed their individual character and beauty. 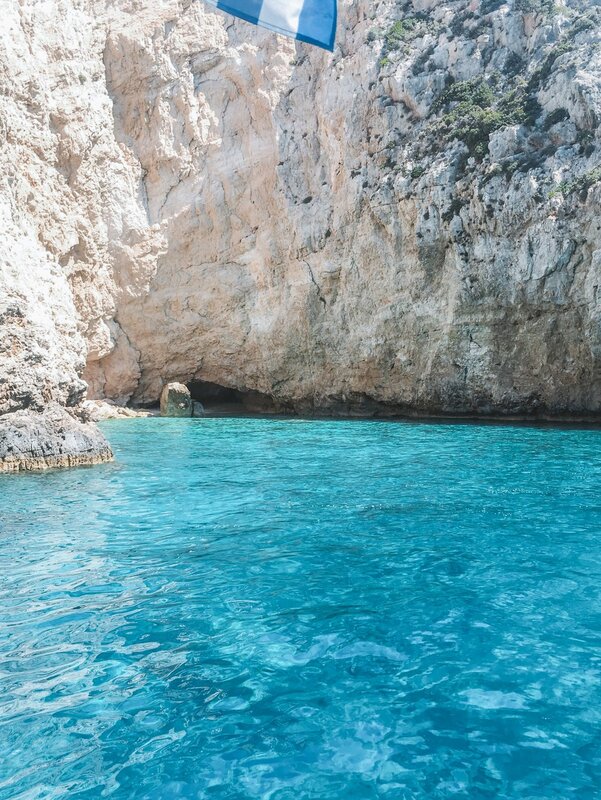 If we had to choose our top two islands, we’d go with Lefkada and Zakynthos! 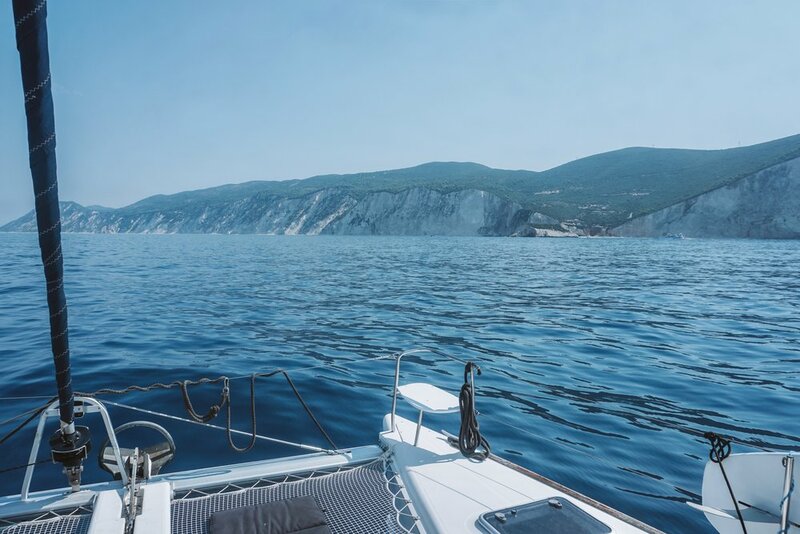 We would strongly recommend Sail With Us Greece, a private sailing company based in the Ionian Islands. If you’d like to follow a similar itinerary to us and are eager to visit some of the world’s most iconic summer destinations, this is the company to contact!